Welcome To Your Senses: Payanigalin Kanivaana Gavanathirku ! Thanks to GowriShankar for showing the Showcases of IRFCA . Do you recognize this picture ? It is the Legendary MG Train from Beach to Tambaram. 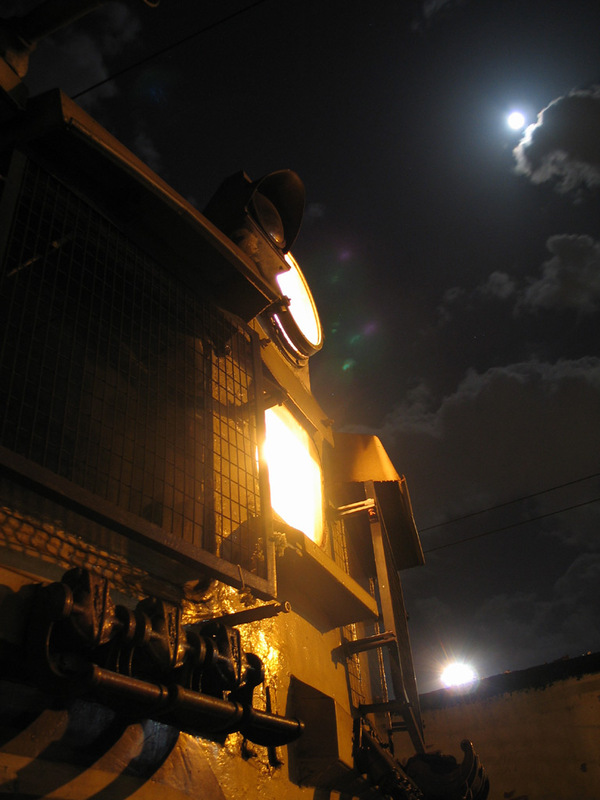 The picture was taken when the Train headed off to the Shed, after its Last Ever journey on the Beach - Tambaram line. Picture Credits - Jason Antony (Webmaster of IRFCA). I remember a lot of Ardent Fans (Adharsha in Tamil) of the MG Train were on the last journey. Train to those people was a part of their life. Actually a very important part of their life. The IRFCA Showcase features a lot of photographs, thats not just picturing the Train as such, but with Tons of beauty added to trains. Look at this picture. It says the theme. The train is heading to Heavens. It wont run anymore. With the Inner Lights off and just the Headlights on, the photographer has lied on his back, and taken the Photo. You might want to take a look at the Photo Gallery of IRFCA. Off Beat : Thanks to Chakra's email.. He sent me a few Sivaji's Punch Dialogues.. Here's my Favourite. Singathe konja mudiyathu...Sivajiya minja mudiyathu..
Thats interesting..I remember reading about the last run of this train,and the people gave a ceremonious honor to this train..Memorables !! Nice view. Even I'd travelled in the last run of MG train. super ...semma angle pa !! wow! sivaji punch dialogues are already out? can u blog all of them..